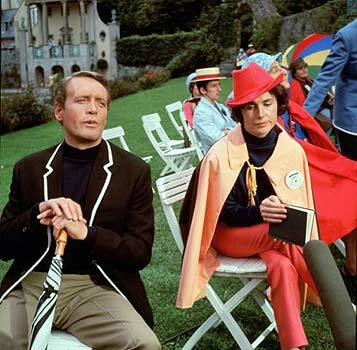 The Prisoner ran for a short period in 1967 to 1968 and spanned 17 episodes, with a lot of the episodes written and directed by the star and co-creator himself Patrick McGoohan. It combined spy fiction and science fiction and has sparked much debate to the meaning and reasons for each episode and the series as a whole. The plot outline for the series follows McGoohan as a former British secret agent who is kidnapped from his home and held prisoner in a mysterious seaside village. His captors remain anonymous and they attempt to find out why he abruptly resigned from his job. 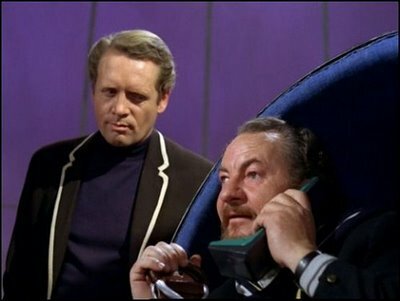 McGoohan is named as Number 6 and is watched by the mysterious organisation and the man who appears to be the head of the village known only as Number Two. To add an extra quirky element to the series the actor to play Number Two changes each time, and it appears if the current Number Two fails in his mission to find out why Number Six resigned he is immediately replaced. Take a peek at the opening credits for The Prisoner below! Includes that awesome funky intro music! Some of the places you see in the series and opening credits above can still be seen in London. For instance I believe Buckingham Place is the location of the house used for the series opening credits and in various episodes throughout the series, check it out below! Tour Page from the website “The Unmutual” showing the annual tour of the prisoner locations in London. Although sold as a thriller in the mould of McGoohan’s previous series, Danger Man (called Secret Agent in its U.S. release), the show had a brilliant combination of 1960s cultural themes and a surreal setting which had a far-reaching impact on science fiction and television programs then and now, you only have to look at recent shows such as Lost for references and ideas influenced by The Prisoner. The show was bizarre at best and some of the episodes very weird in places, however throughout the series McGoohan’s writing is compelling and edgy and keeps you interested. He plays the paranoid agent brilliantly and draws the audience into his plight and into the quirky mysterious setting of The Village. 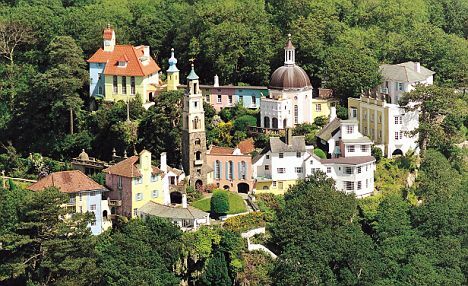 The setting for The Prisoner is a real village called Port Meirion. I’ll probably get there myself one day but would be good to hear from people who have been there already! Oddly enough the closest I’ve gotten to “The Village” is through the online virtual community Second Life. Research into something you love for long enough and it can take you to some bizarre places. I couldn’t resist finding out more, and going against my nature as a gamer I dived right in. Second Life members had re-created a pretty accurate version of “The Village” in this virtual world, you can join the community and you are assigned a number. After an initial look around I chatted to a few residents who said they loved hanging out the in the Village, I guess not quite the same as the visiting the real thing but it was fun for a while and worth a quick visit, although I don’t think I’ll be needing to look any further into Second Life. Please check out the website The Unmutual which is a fantastic resource of all things The Prisoner, from cast and crew information, news, locations and the Prisoner London tour. Patrick McGoohans IMDB page here! An interview with Patrick McGoohan. There are also numerous other websites, information, and video clips to be found on the interweb. 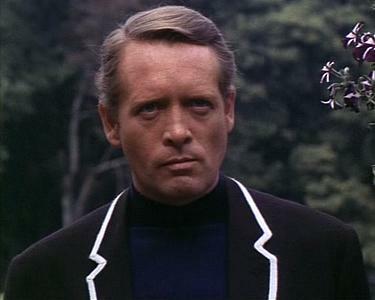 The Prisoner is one of my most favourite sci-fi shows right alongside Farscape, Stargate and Red Dwarf. The Prisoner, Number 6 and the Village were, and still are a fascinating concept. Watching, listening and reading McGoohan’s thoughts on the show reveal even he didn’t know how it was going to end, with the final episode “Fall Out” literally a mystery right up to the day of writing it, the mystery was only solved, albeit in a very unusual way, when he wrote it. A, B and C (Episode 3) – A desperate Number Two tampers with Number Six’s dreams to discover where his loyalties lie. Checkmate (Episode 9) – Number Six thinks he has a means to tell the prisoners from the warders, and assembles a group for an escape attempt. Fall Out (Episode 17) – Number Six finally discovers the answers to the questions he has been asking, what follows is a bizarre but satisfying end to the series in my opinion, but apparently not too popular back in 1968. The new series starring Jim Caviezel as Number Six (or just “Six” in this series) follows a similar storyline and scenario to the original. Being a die-hard fan of McGoohan it was hard to get into the new series but I still highly enjoyed it and it wasn’t as bad as I thought it would be. Caviezel can’t pull off angry and paranoid as well as his predecessor but there were enough homages to the original and McGoohan references and style to keep me interested, right down to the banging of a fist on a desk and spilling tea. Hope you enjoyed reading this as much as i enjoyed researching it! Just about to watch the new one! You helped me remember lots about the original which I love so much.